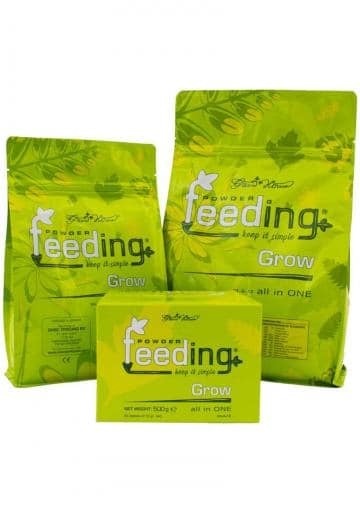 Feeding Grow is a growth fertilizer in solid format designed for all types of growing medium. Very simple to use, it is valid for the entire vegetative phase of marijuana plants and can be sent worldwide. Feeding Grow is a solid format fertilizer specially designed for the growth phase of marijuana plants. The plants, during their phase of growth, need a special contribution in nitrogen to grow healthy, green and vigorous. 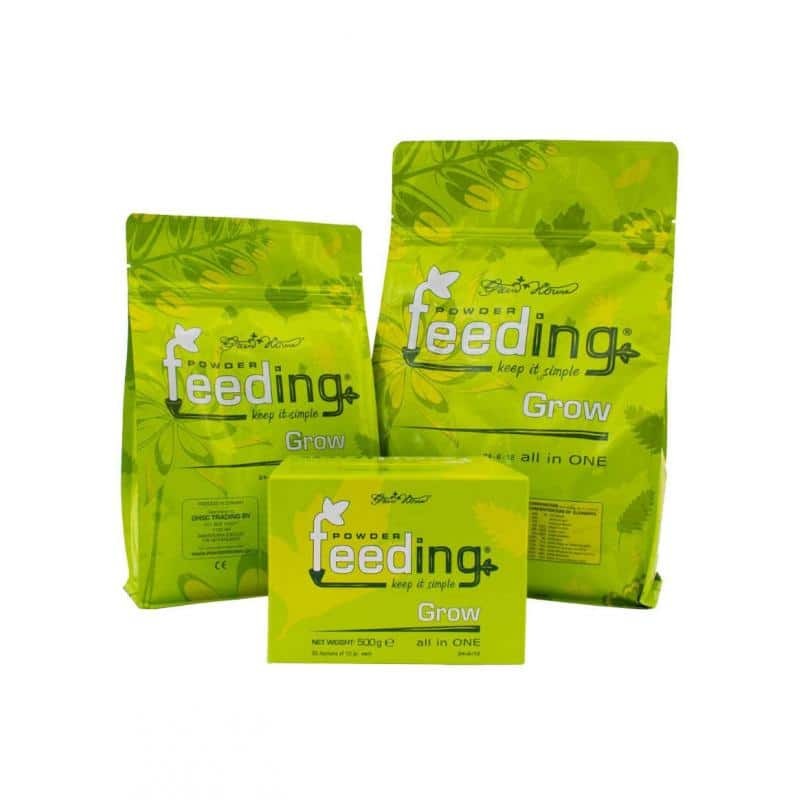 Feeding Grow, besides allowing the correct growth of plants in the vegetative phase, can be used for the maintenance of mothers for cloning or for their genetic conservation. 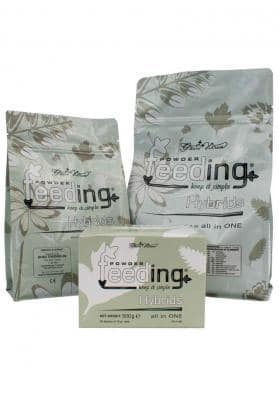 For the correct use of Feeding Grow, this product should be used in lower doses during the first phases of life of the plant (the first two weeks) and can even be dispensed in case of using an already fertilized substrates. For growth in soil, this product should be used once every 2 waterings while in coconut and hydroponic it should be used in each watering. In addition to the advantages already mentioned, Feeding Grow is an economic product, very simple to use and that, after opened, can last about 10 years without losing its characteristics. 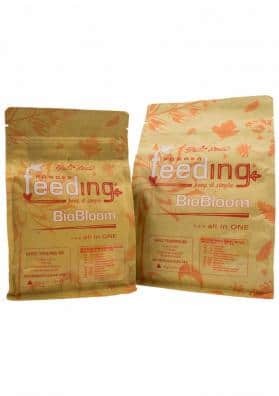 Remember that 500 grams of Feeding Grow will allow you to fertilize about 200 liters of soil outdoors to keep a well-fed plant throughout its growth! This product must be mixed directly in the irrigation water. For seedlings or cuttings should be used an amount between 2.5 and 6 grams per 10 liters of water. 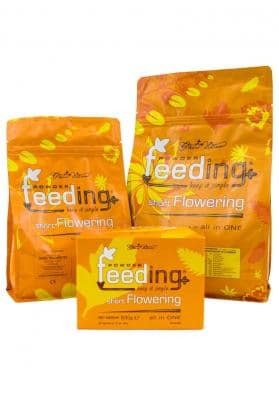 For adult plants and mothers the recommended amount is 7 grams per 10 liters of water. In soil crops should be fertilized with this product once every 2 irrigations. In other mediums the fertilization must occur in each irrigation. In the case of using a substract already fertilized the use of this product is not recommended. 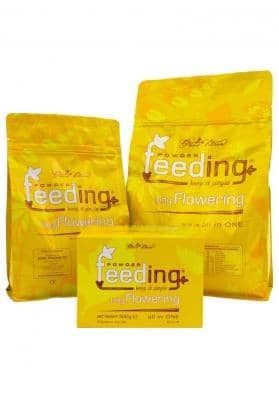 This product can be shipped worldwide and includes a 10 grams dosing spoon.